Celebrate the Mooncake Festival at Manila Pavilion Hotel - Hits and Mrs.
On the 15th day of the eighth month of the Chinese Lunar Calendar, the Mid-Autumn Moon Festival commences. This is the time when the moon shines the brightest, and is considered the time of the year when children are the happiest. Families gather together to celebrate this occasion by displaying traditional candle-lit lanterns and serving mooncakes that symbolize family solidarity and union. It is also this time when Manila Pavilion Hotel lays out a delectable spread of mooncakes. 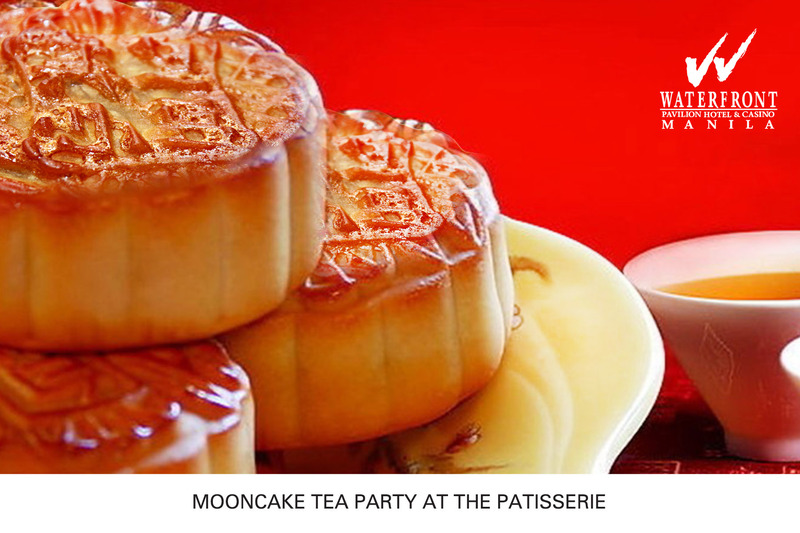 From September 14 to October 18, 2015, you get to enjoy a feast of mooncakes at the hotel’s Patisserie. Revel in the delightful aroma of palatable mooncakes that will be perfect for your tea party on September 27, 2015. There will be a wide array of mooncake variants available at the Patisserie. For the large mooncakes, there’s lotus with macadamia, egg custard, mixed nuts, lotus with egg, lotus plain, monggo with egg, or monggo plain. For the mini-mooncakes, the available flavors are chocolate, ube, egg custard, mixed nuts, lotus plain, and monggo plain. Prices start at PHP 1,350 for a box of 4. These also come in gift boxes, perfect as giveaways, starting at PHP 450 per box of 4. To make this occasion more festive, Manila Pavilion Hotel also offers the Mid-Autumn Room Package that comes inclusive of an overnight stay with buffet breakfast for 2, a limited-edition Mommily Holiday Privilege Card, box of mini-mooncakes, 20% discount voucher at all F&B outlets, and complimentary use of the swimming pool and Wi-Fi Internet. Rates start at PHP 3,500 nett. For inquiries, call Manila Pavilion Hotel at +63-2-5261212 ext. 2326 for the mooncakes and ext. 2382 for room reservations. For regular updates, visit www.waterfronthotels.com.ph or follow them on Facebook, Twitter, and Instagram.